Turkey Jerky Sweet-Sour - why not Sweet-Sour? The combination of exquisite vinegars with the tender meat flavor makes it a very special taste experience. 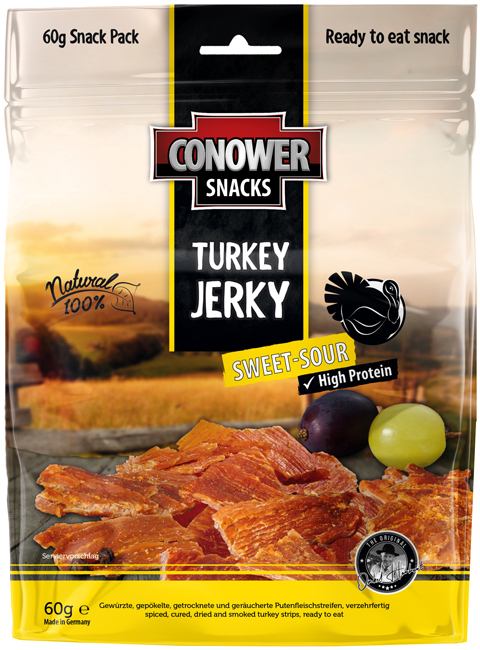 Conower Jerky is a delicious snack - whether in sports, at home, at work, office, car or boat, hiking, biking, canoeing, climbing, sailing, fishing, camping, after training, or in the evening watching TV. 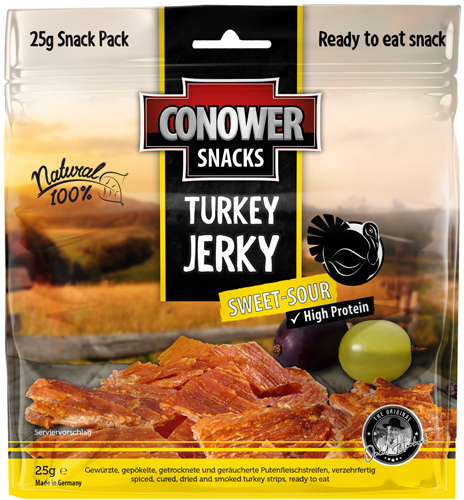 Conower Jerky is a high quality product "Made in Germany"